We pride ourselves in knowing how much individual properties are worth on the rental market and this knowledge comes from many years’ experience. Our valuations are realistic and our marketing strategy ensures that your property reaches as many potential and relevant tenants as soon as possible so we can begin the process of finding the best person for your property. We will advise how to present your property in the best possible light and create a tailored advertising campaign using Rightmove and other media outlets. Our database of tenants often bears fruit and we work closely with local businesses that frequently relocate staff to the area. Communication is one of our key strengths and we will give you immediate feedback after each viewing. We know what our tenants need and what you can offer and we pride ourselves in matching the right tenant to the most appropriate property ensuring a smooth and happy tenancy for all concerned. Here at Costello’s we appreciate how big a step it is to rent your property out and our attention to detail ensures that a strict checklist is followed so that we know the tenant can afford the property and will be suitable. If we are not happy at any stage, we will advise accordingly. We carry out stringent credit and reference checks and process all of the necessary paperwork. Managing high quality homes and attracting high quality tenants. We help them through every stage of the process and iron out any problems at an early stage, preparing them for a happy stay in your home. We provide a welcome pack, list of useful contact numbers and ensure they can operate all appliances such as the heating system. Our experience proves that tenants care for a property more if they understand it! We provide a 24 hour emergency help line and if there is an urgent maintenance problem we aim to get a trusted tradesman to sort it out within 24 hours. 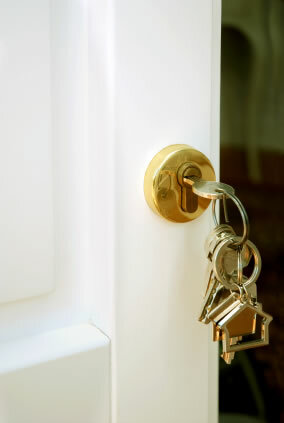 You are very welcome to contact us at any time if you have any concerns about your tenant. Our Landlord fees can be found in the Landlord Fees page.